According to the satirist, the DA leader tried to jump the Wanderers queue to see Obama on Tuesday, but was shooed back into line. Just when you thought the Sunday Times might have moved on from mocking DA leader Mmusi Maimane after earlier this year calling him “Mini-Madiba”, he has found himself jabbed again. According to the paper’s anonymous satirist, Maimane tried to jump the long queues of people trying to get into the Wanderers cricket stadium on Tuesday to watch former US president Barack Obama deliver the Mandela memorial speech. Maimane has for years been satirised for apparently trying to model himself on Obama. Hogarth alleges that the “Mini-Obama” became very agitated that he would miss the chance to see “the real Obama” in action. ANC head of elections Fikile Mbalula took a snapshot of the Sunday Times article and posted it on Twitter, himself referring to Maimane as “Pastor Dumelang”, referring to when a white DA supporter mistakenly thought Maimane’s mother’s name was “Dumelang”. Mbalula’s tweet was retweeted by many others, including EFF leader Julius Malema. Maimane’s chief of staff and MP Geordin Hill-Lewis earlier this year hit out at the media for trying to dub Maimane “Mini-Madiba” after what Hill-Lewis alleged was very poor reporting on Maimane’s Freedom Day comments. 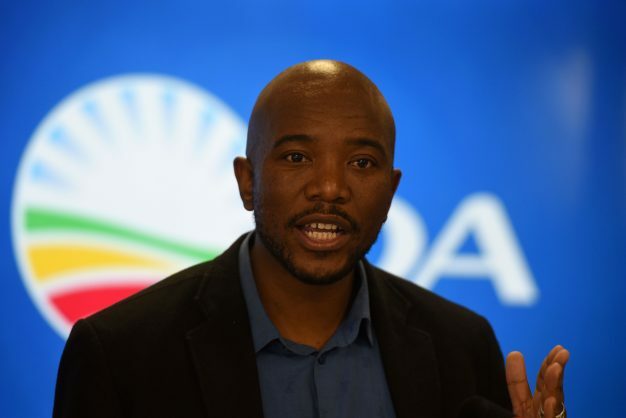 He pointed out that Maimane’s speech had been twisted to make it sound as though he was comparing himself to Nelson Mandela, but that had never been the case. He explained that Maimane had in fact been attacking those calling Mandela a “sellout”.